My favorite places to eat in my quirky hometown. Asheville is a quirky city nestled in the Blue Ridge Mountains of Western North Carolina. Asheville has been called the cesspool of sin, the gay capital of the south, beer city, hippie town, the city of liberals and so many other accurate titles. However, there is not a single name can encapsulate all that Asheville is. I am lucky enough to call this artsy city my hometown. The city’s economy is centered around food, art and tourism, especially during the summer and fall. Asheville’s peculiar liberal culture draws hippies looking to join the weirdness and big-city folk looking to observe the hippies. The hiking trails attract nature enthusiasts that want to experience the old mountains secrets like hidden waterfalls and views for miles. Artists flock to the city’s up-and-coming River Arts District in the hopes of starting a studio in an old brick building along the train tracks. Micro-breweries are also becoming very popular, but unfortunately, I will not get to enjoy them for another year or so. Recently, Asheville has been getting lot of publicity about its diversity, how beautiful it is and how accepting the town is. Of course the publicity is good for the city, and it makes me feel proud to be an Ashevillian, but it also makes Asheville lose some of its charm. Downtown is incredibly difficult to navigate because of all the pedestrians and traffic. The highways are overcrowded. There always seems to be construction being done on some major road or a new apartment building. When will the publicity overwhelm my quirky town to overcapacity? Some things have stayed the same, and it makes it nice for me. The locally owned restaurants comfort me with eclectic dishes when I come home on breaks. 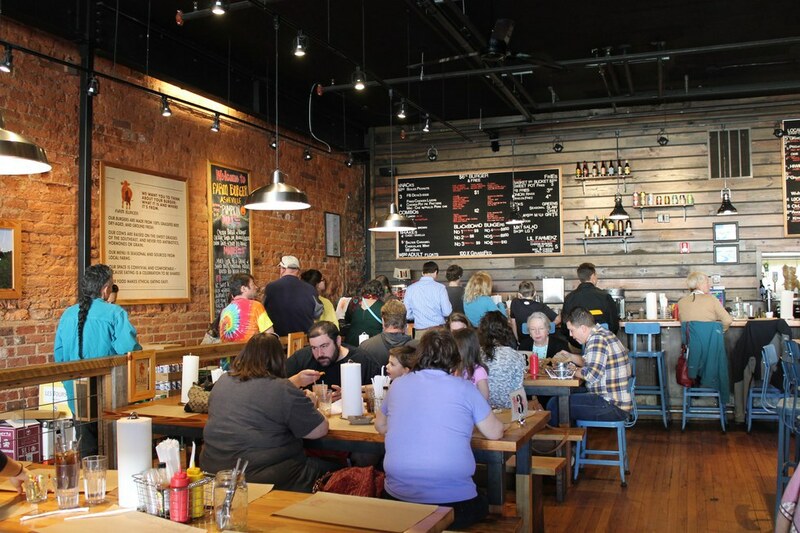 Asheville’s food makes it stand out because the majority of the restaurants serve food made from local and fresh ingredients, and the prices are reasonable for the quality of food you get. Below, I’ll list a few of my favorites that I’m sure other locals enjoy as well. Mela is my all time favorite restaurant in town. It is an Indian restaurant located downtown. 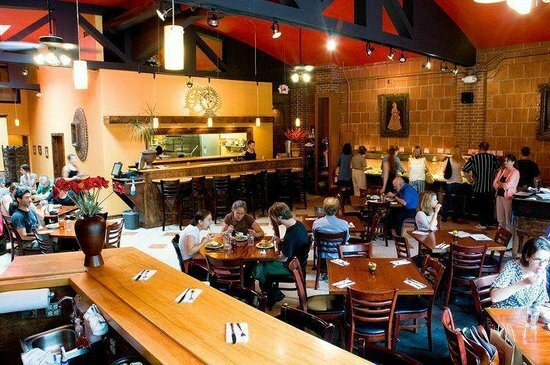 Lots of tourists go there too, but locals enjoy this upbeat and spicy restaurant all the time. My favorite time to go to Mela is at lunch because they have a buffet option for $11, and if you pay cash, it's $10. The buffet options do not change much but that is nice for people like me who can go regularly and enjoy many different dishes for such a good price. I love to get the chicken marsala, white jasmine rice, naan and the tandoori chicken. I could live off that tandoori chicken for the rest of my life. At lunch it is really busy, but it is definitely worth the wait! 12 Bones is the notorious for its soulful sides and smokey meats. 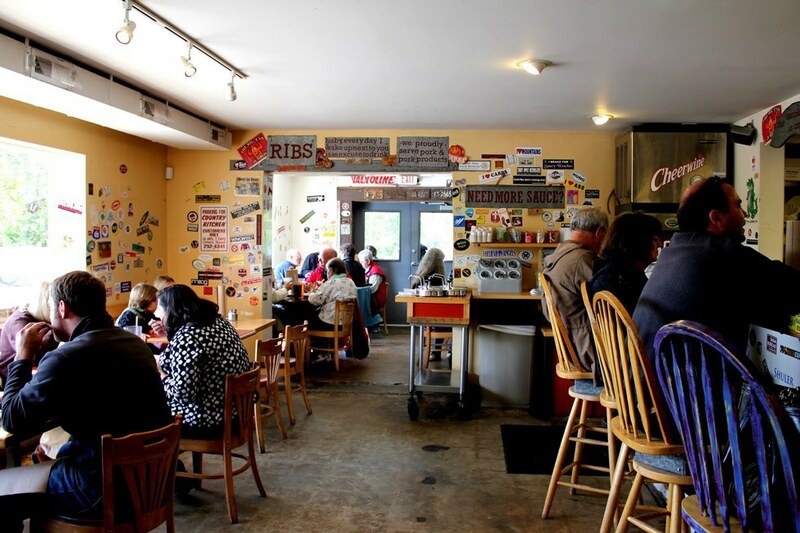 President Obama has visited this smokehouse twice, no big deal. The line always goes out the door and once you enter, you can smell the sweet smoke and hear the bustling chatter of the wait staff. I always get the same order - ribs with two different rubs, blueberry chipotle and brown sugar, and a side of “damn good” corn pudding and mac n’cheese (super healthy). The interior of the building is covered in bumper stickers and writing on the walls; it looks like a dive but the food is to die for. I’m a bit bias towards Marco’s because I worked there while in high school. But that doesn't stop the fact that the pizza is delicious and their service is great. Being a part of the Marcos family made me appreciate those who work in the food industry more. Marcos is the type of place where you can walk inside, be genuinely greeted by the staff, and also see someone you know. It has such a homey atmosphere.Marcos pizzas are made on a rich crust that puffs up and browns nicely in the over. 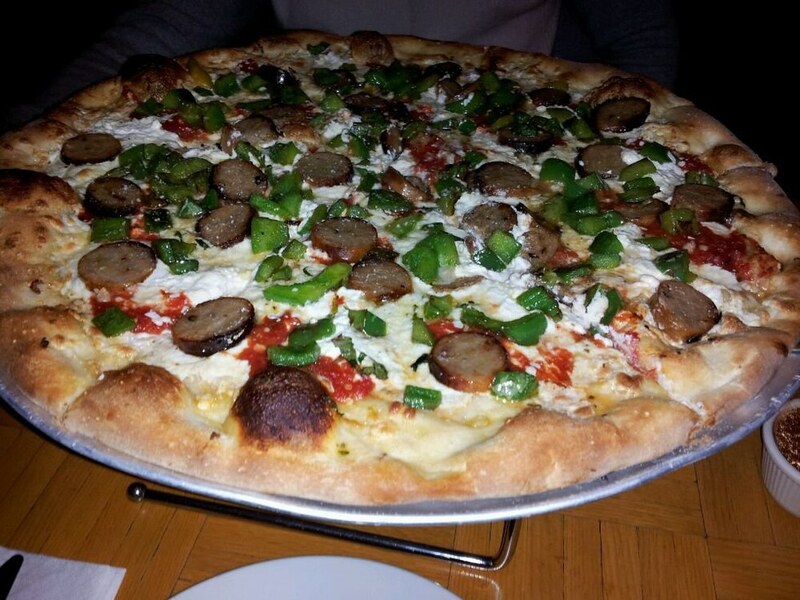 My favorite pizza that Marcos offers is the white pizza because it is creamy and full of garlic. I like to add broccoli and sun-dried tomatoes to mine. My favorite thing to get at Marcos are the hot wings. The wings are fried until golden and then doused in sauce made from hot sauce and honey. They are my favorite wings in town, and trust me, I have eaten a lot wings. White Duck makes homemade tacos on corn tortillas. My favorite tacos are the fish tacos made with tilapia, cabbage and spicy mayo, and the steak and cheese taco made with juicy steak, cheese and lettuce. My friends and family also like other tacos like the thai chicken taco, the black bean taco, and the bangkok shrimp taco. The tacos are cheap and delicious, the service is fast and it is a perfect spot to eat lunch during the summer or fall with its outdoor seating. Asheville Pizza is one of my family’s go-to places when we want a quick meal and my mom wants a local beer. The wait staff are all laid back and friendly. 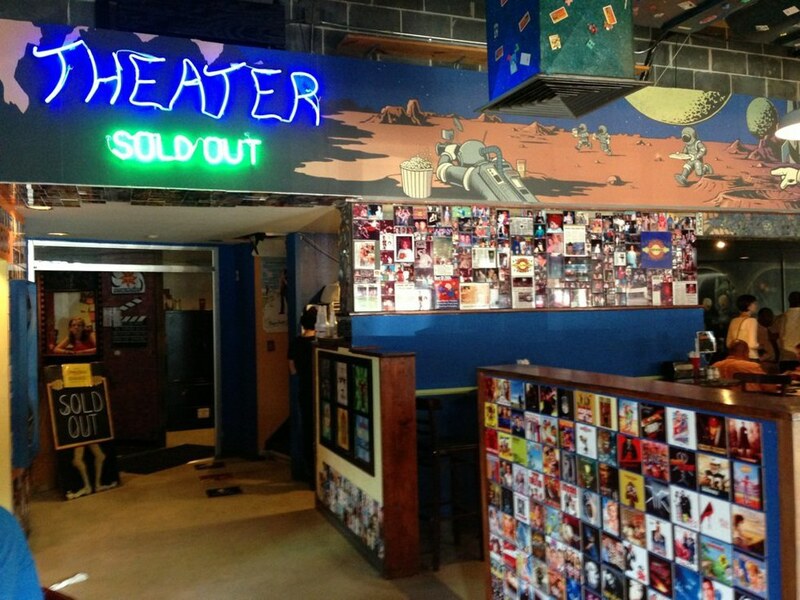 Asheville Pizza is very diverse because they have a movie theater where they show movies for $3 and serve their homemade food as you watch. The interior of the building is odd because each table has a different movie theme on its surface, the walls are painted in murals and there are weird sculptures hanging on the ceiling. I don’t usually go for the pizza because I like their Tombstone Burger made with bacon, onion rings, and BBQ sauce or their beer-battered fish and hand-cut chips best. 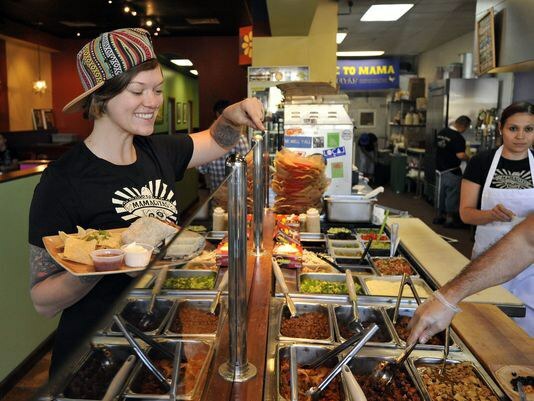 Mamacitas is a locally owned burrito place. The ingredients are always fresh. Mamacitas is like a better and more flavorful Chipotle. I always get a flank steak burrito on a whole wheat tortilla with all of my typical fixings. Mamacitas has a special deal called Taco Tuesdays and locals flock to the restaurant on that day every week, but going to Mamacitas any day of the is a great idea. The queso is also delicious. Farm Burger is a restaurant that embraces the locally-grown and fresh mentality. All of the meat and veggies come from local farms in WNC. The fries are hand-cut and homemade. Inside the restaurant there is a little bocce ball court where you can play with your friends. They have some yummy sweet tea and lemonade that just shouts southern tradition. You can order burgers that they have made up the recipe for or you can build your own burger. I usually build my own burger and put bleu cheese, sautéed onions and mushrooms, lettuce, pork belly and roasted garlic on top, but any way you build your burger will be a win. Those are just a few of my favorite places to eat in my hometown. There are many more remarkable places to eat, but those are the ones that I consistently go to. If you live in Asheville or go to visit, definitely go and try one of these places!